Five Star Movement lawmakers overcame their reservations about impeding investigations into politicians and on Tuesday voted to block an investigation into Deputy Prime Minister Matteo Salvini - the leader of M5S's coalition partner - over allegations that he "kidnapped" 177 undocumented migrants last summer when he refused to let them disembark from a ship in a Sicilian port for five days. The Senate's Immunity Committee would have needed to lift Salvini's immunity for the investigation to proceed. Instead, it voted to back immunity for Salvini. The vote resolves what had become a serious source of tension between the two coalition partners, even prompting some of Salvini's allies to publicly push their leader to call for fresh elections to try and oust M5S and take advantage of the League's rising popularity. The investigation into Salvini was initiated in August by a Sicilian prosecutor. Salvini has publicly mocked the probe, saying it would be "an honor" to go to prison for defending Italy's borders. 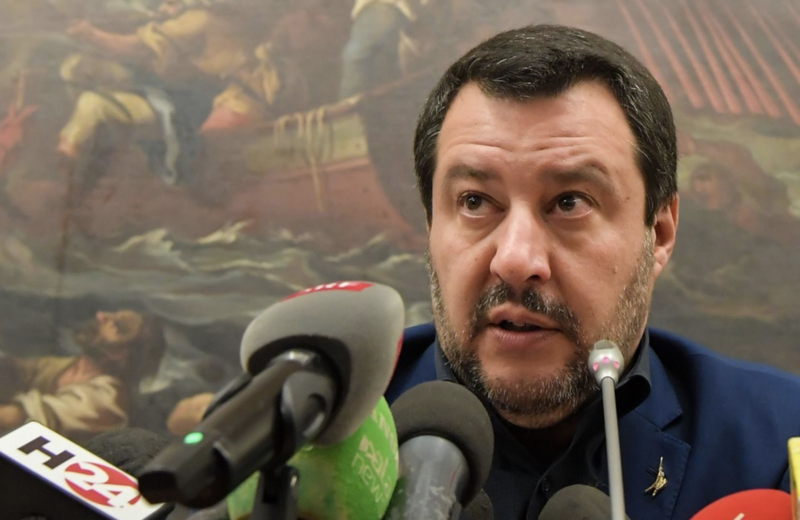 "If he wants to interrogate me or even arrest me because I defend the borders and security of my country, I’m proud...Being investigated for defending the rights of Italians is a disgrace," Salvini said at the time. The Diciotti crisis, named in reference to the rescue vessel that carried the migrants, began on Aug.15 when 190 migrants fleeing Eritrea were rescued from an overcrowded boat off the Italian island of Lampedusa. Salvini refused to allow them to disembark at a Sicilian port. After allowing 43 unaccompanied minors and some in need of urgent medical care off the ship, Salvini and his ministry refused to allow the rest to disembark, purportedly violating EU rule stipulating that migrants detained for more than 48 hours should be released and allowed to apply for asylum. Now that the dispute, which had blossomed into a serious threat to political stability in Italy, has been resolved, investors have one more reason to pile back into Italian after data released Tuesday showed money managers sold $68 billion in Italian debt last year amid Rome's showdown with Brussels over its budget deficit, according to Bloomberg.